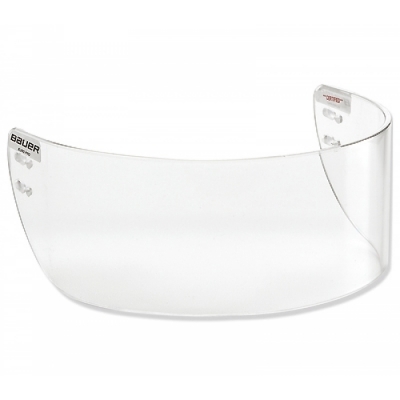 Straight cut, clear polycarbonate visor. Combination of side slots and fixed holes for optimal compatibility with most hockey helmets. Protects your eyes and nose.